Looking for a full-body kettlebell workout that requires minimal equipment and doesn’t take ages? I’ve got you! 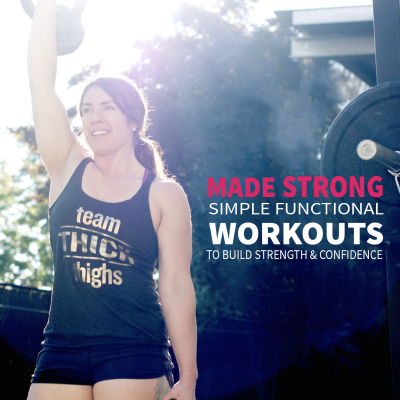 I created this workout to give you maximum benefit in minimum time using functional movements. Plus, it’s just damn fun. Scroll down to get the full workout. When you think of strength training, barbells usually come to mind but kettlebells are just as useful. Training with kettlebells builds balance, stability, strength, coordination, endurance, and yes, muscle and bone density. 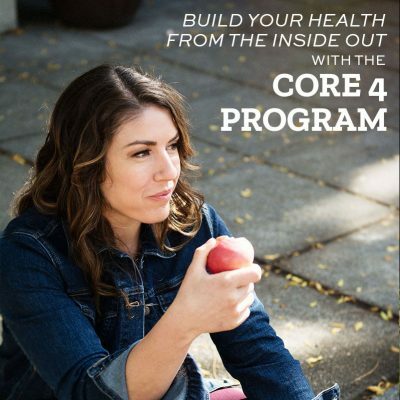 When you build muscle, your metabolism increases and – to simplify the process – you burn more fat. The kettlebell is my favorite does-it-all fitness tool. 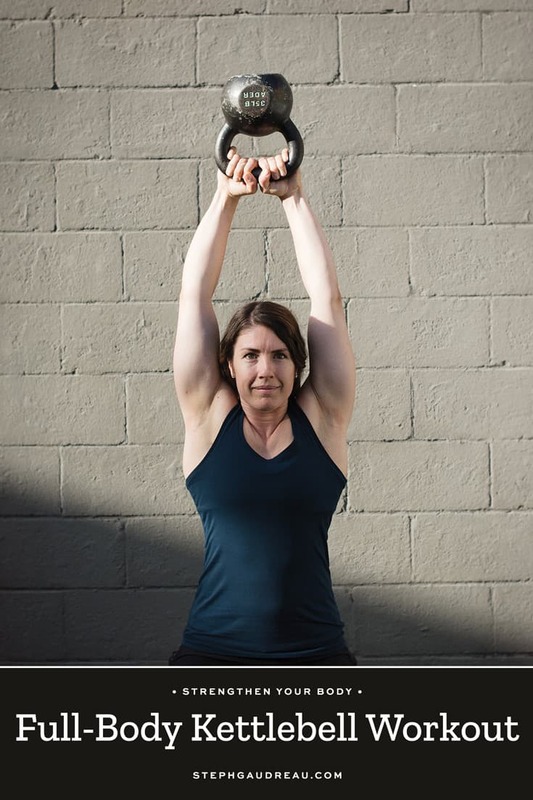 Kettlebells are compact and so versatile. In fact, the only weights I have at home are kettlebells which I use on my front porch. 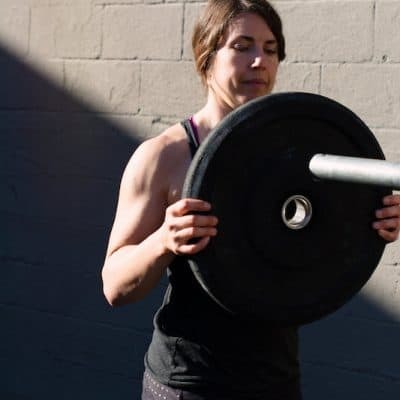 I love this strength training implement because it’s super approachable for beginners and way less intimidating than barbells. It doesn’t take much to get a killer full-body kettlebell workout. In this example, you’re working multi-joint, compound movements that target large and small muscle groups. There’s nothing wrong with working muscles in isolation, such a biceps curls, but the movements in this workout hit multiple muscle groups at once. Translation: Get more work done in less time. 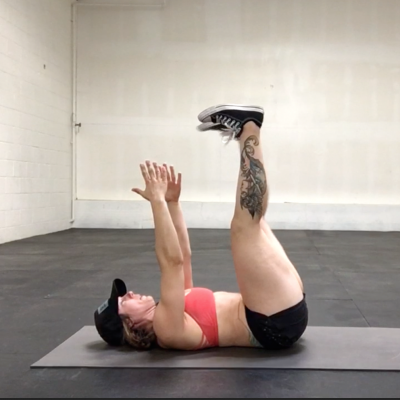 There’s classic kettlebell moves like the Turkish get-up and Russian swing, but it’s time to think about it more creatively. 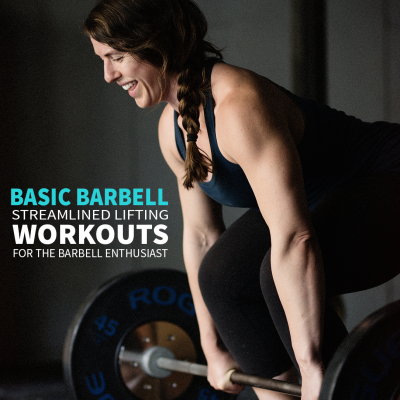 Pretty much any move you can do with a barbell or dumbbell has a counterpart for kettlebell. 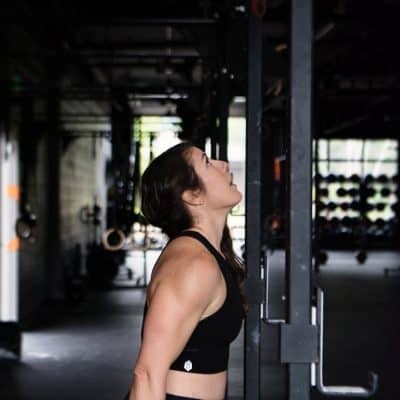 power generating exercises like cleans, snatches, and swings. 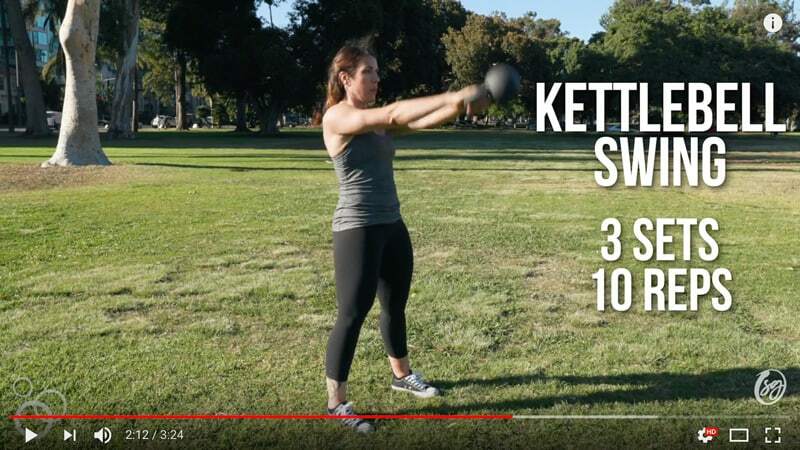 This workout combines multiple kettlebell movements that challenge your core, upper, and lower body giving you the ultimate total body workout. I designed it in the style of my Made Strong program to target the squat, pull, hinge, and carry patterns with an optional power move in the swings. Be sure to watch the full video above for pro tips to make your workout most effective! Pin this full-body kettlebell workout for later! Do you use kettlebells in your fitness routine? If so, what’s your favorite move? Let me know in the comments below! Nice!! Those are so fun and challenging at the same time. Thanks for sharing Michele!